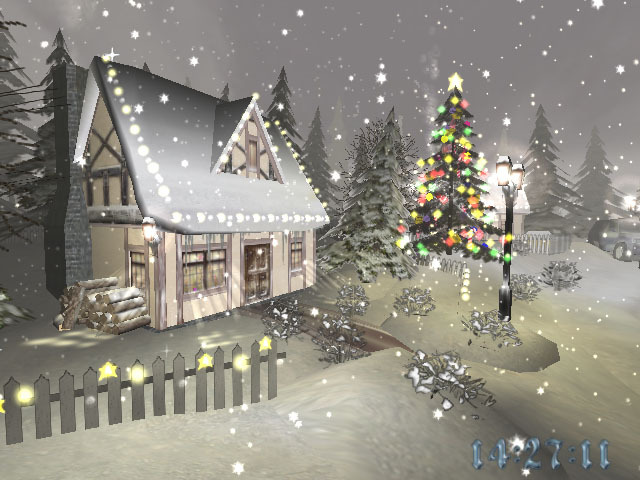 Christmas Season 3D Screensaver 1.04 Free Download - this terrific 3d screensaver will help you feel the magic of the holiday season. this terrific 3d screensaver will help you feel the magic of the holiday season. this terrific 3d screensaver will help you feel the magic of the holiday season. you will find yourself in a quiet winter forest with a few cottages scattered around. everything is covered with snow and the nature is waiting for a miracle to happen. a huge christmas tree in the middle of this peaceful setting and the outstanding background music add to this unique holiday mood. santa is definitely paying a visit to this place! how about you?